Mexican authorities found human remains and containers with traces of acid at this property in Jalisco. Mexican authorities announced a nightmarish discovery in the western state of Jalisco last week, after raiding a property where gang members are thought to have dissolved their victims in barrels of acid. 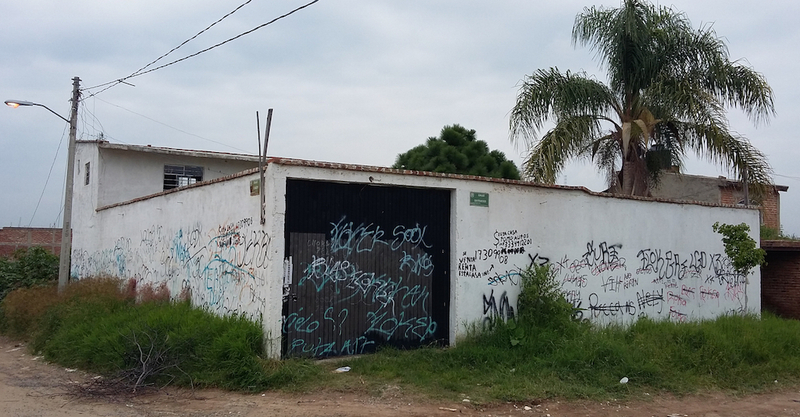 The white-walled building, which has no street number and is covered in graffiti, is located at the end of an uneven dirt road in Santa Lucia, a small, underdeveloped town just northwest of Guadalajara, Mexico’s second biggest city. Inside, investigators found five 450-liter tanks containing several human teeth, bones, plastic tape and traces of acid. The courtyard housed an empty swimming pool and a shallow grave that measured just over 50cm in diameter and contained human pelvis, femur and shoulder bones.